August…was one busy month. 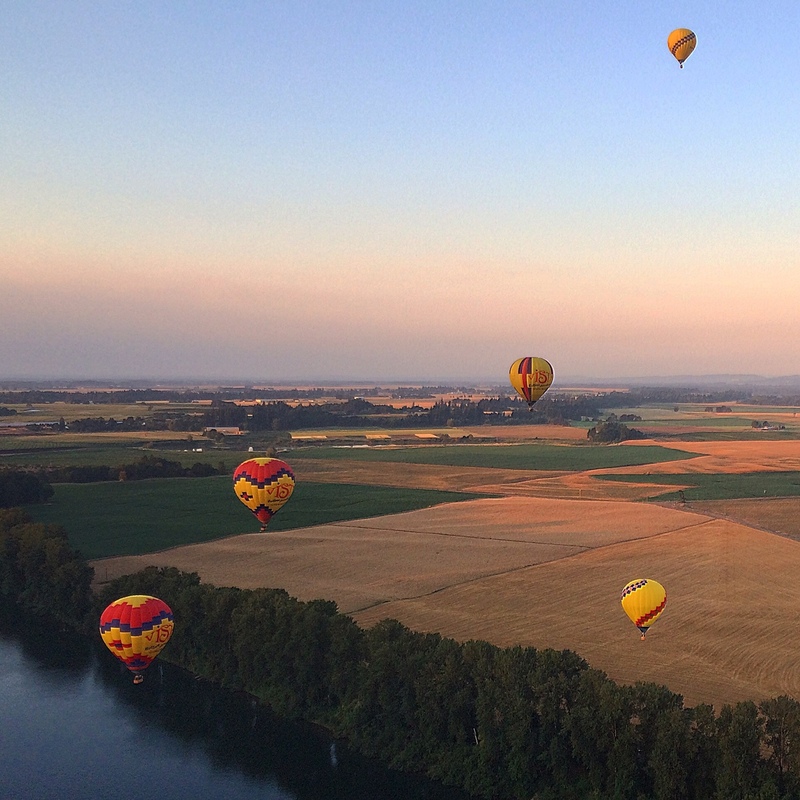 We kicked off the month by crossing off a major bucket list item – going on a hot air balloon ride! 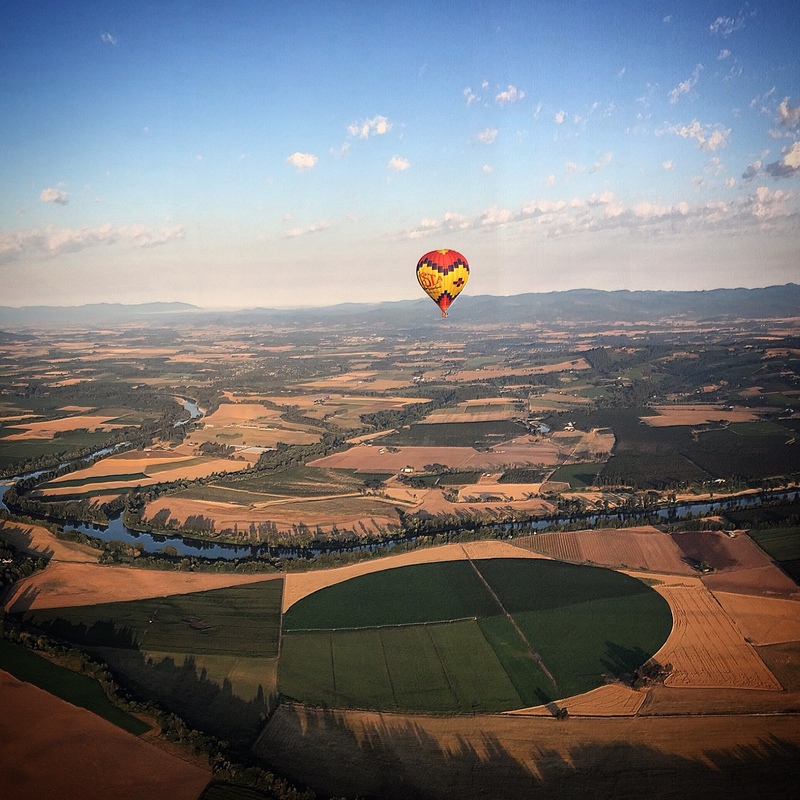 We went through Vista Balloon Adventures and it was super fun and worth it! I really had no idea what to expect, it wasn’t as scary as I thought it would be, it was honestly more relaxing than anything. You slowly float up, the sun is rising (did I mention these balloons take off REALLY early?) and it is so quiet way up above everything. I would recommend splurging on an adventure like this to anyone! 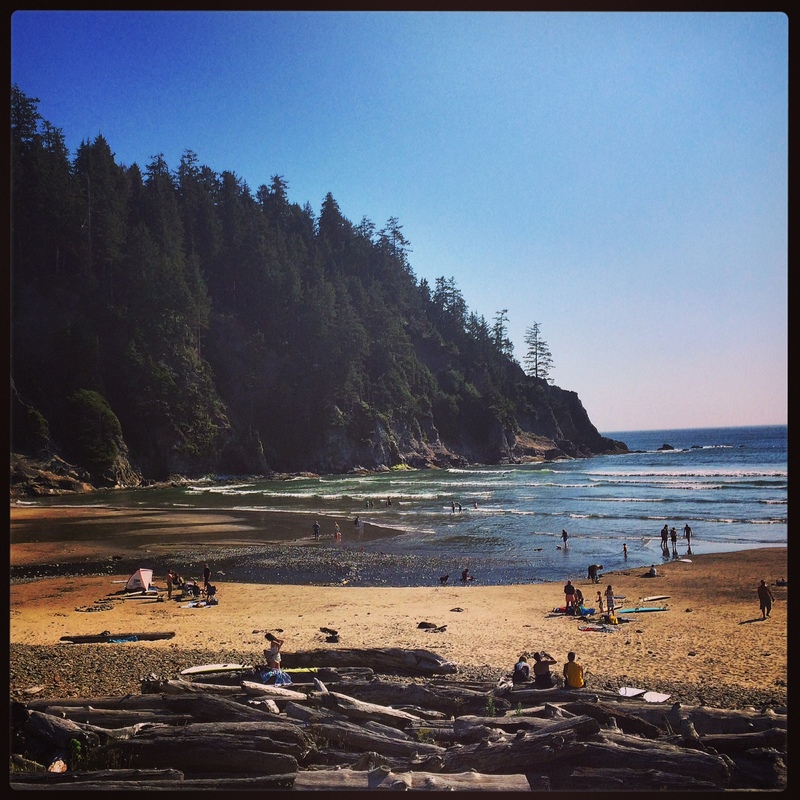 The next day we did a day trip out to Oregon Coast. 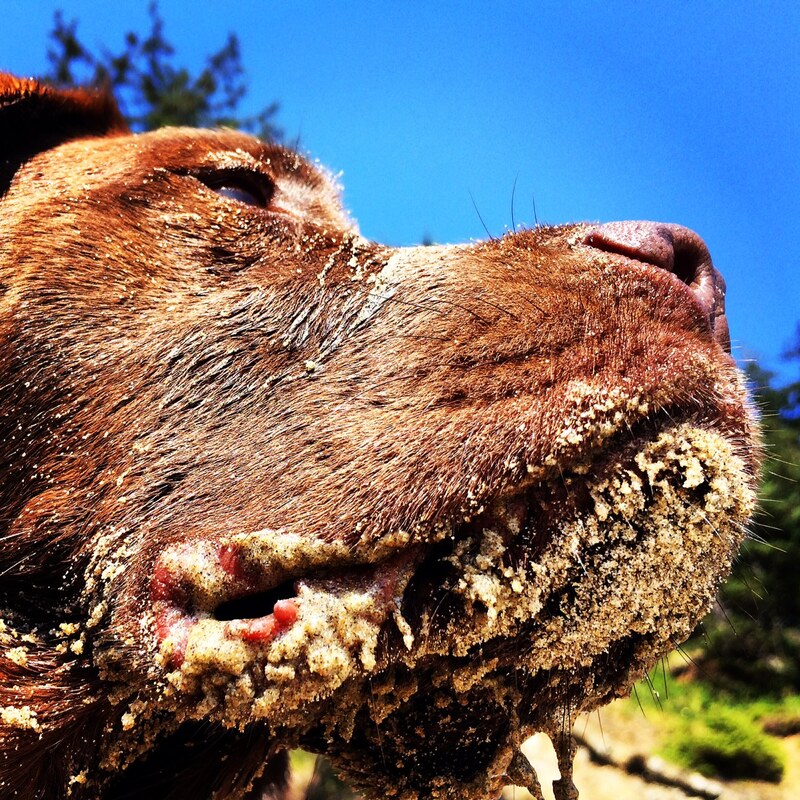 A trip to the beach always equals…A SANDY DOG! Subsequently, this sandy dog pooped in the ocean while walking along the shore with his mom who didn’t have his leash, or any dog poo bags on her, while who knows how many people looked on, horrified at the scene. This is where you wonder why your dog loves pooping and peeing in large bodies of water, and why you didn’t see this one coming. Otto could be the poster boy for Bidets I suppose. I’m always trying to look on the bright side. It’s hard not to love this little brownie though. Especially that look he gets on his face after a nice relaxing, salty, ocean dump. Life really couldn’t be better. 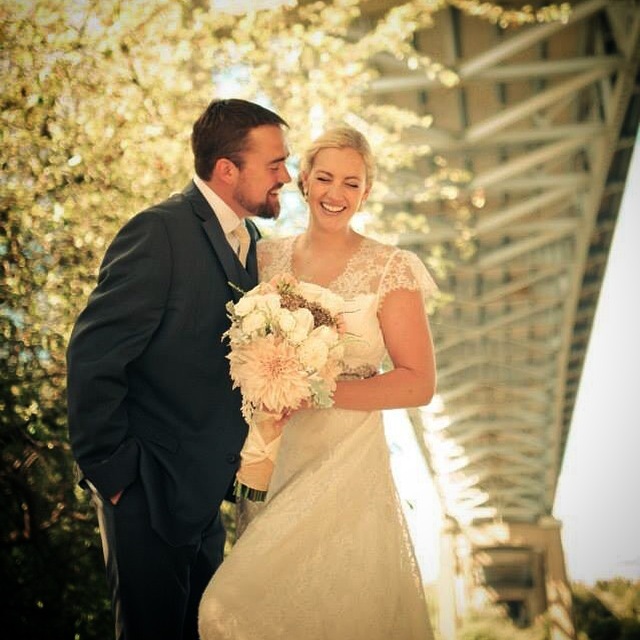 Then we went up to Seattle for some quality family and friend time, plus a wedding. 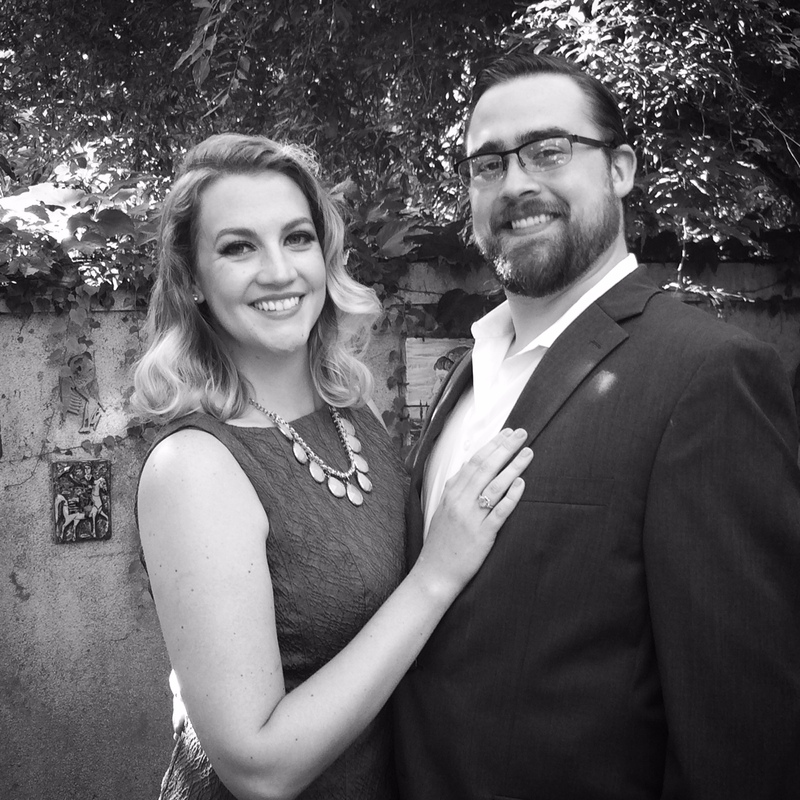 Who doesn’t love weddings?!? 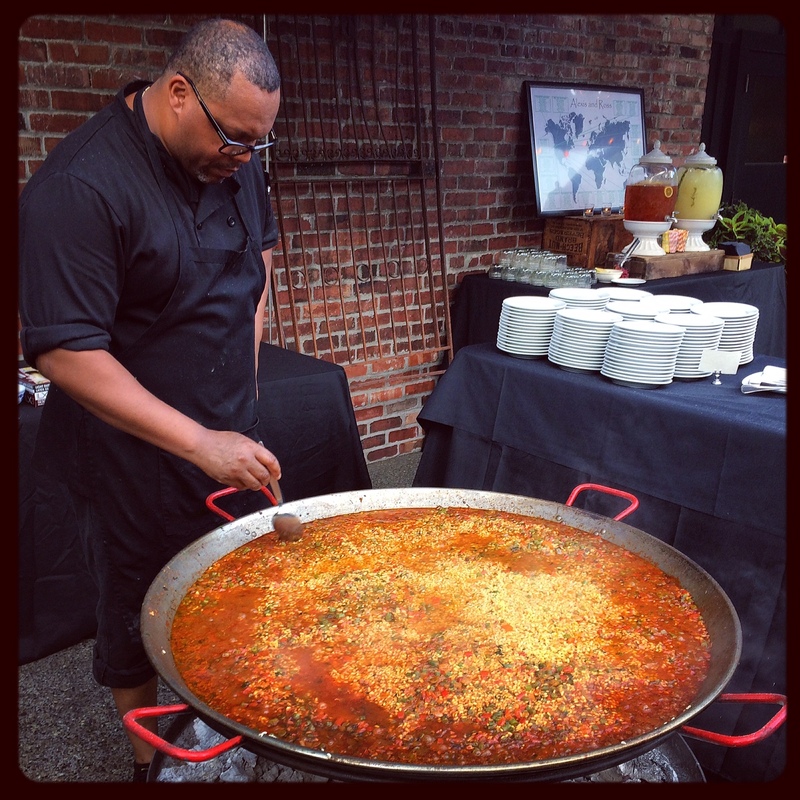 You have an excuse to get all fancied up… AND you get to see tons of people and dance and do awesome things and at this particular celebration, eat Paella! Good job Ross and Lex! And congrats on getting married and everything, obviously. We woke up early the day after the Wedding to this: The perfect sunrise and the best view I could hope for on our first wedding anniversary. We then headed up to catch the ferry to San Juan Island to start celebrating our first year of marriage! (Inserting obligatory “Happy Anniversary” picture below). 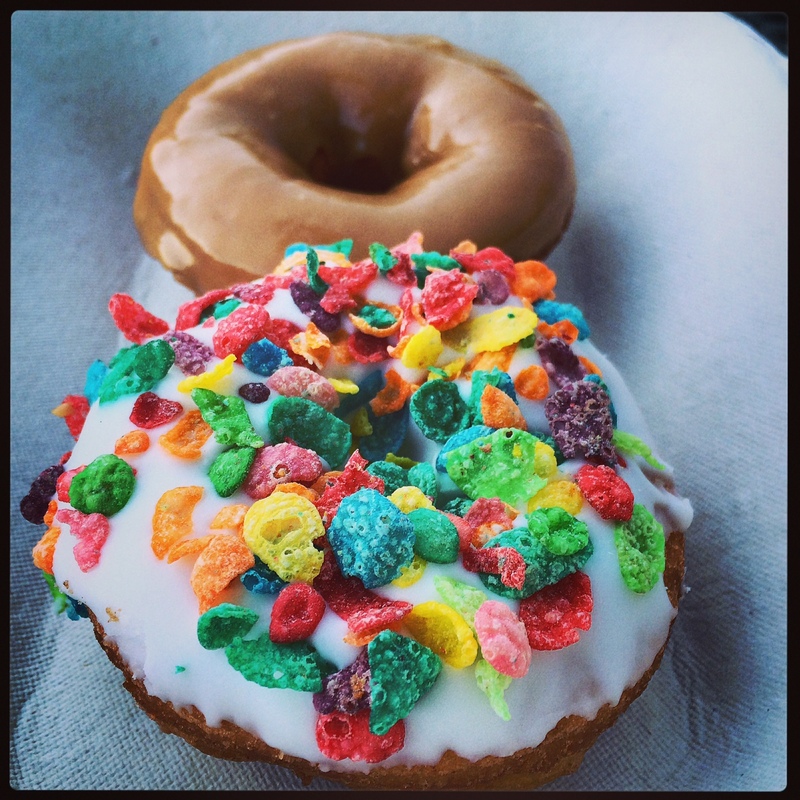 But before catching the ferry…we had to stop for celebratory DONUTS! The Donut House in Anacortes is one of my favorite places ever. Don’t miss it if you are heading to the San Juan’s. Once we got to the island…It was business as usual. Some things had changed…and some had stayed the same. The number of tourists was a tad shocking – but now that Jordan doesn’t live there anymore I guess we are thrown into that bucket. 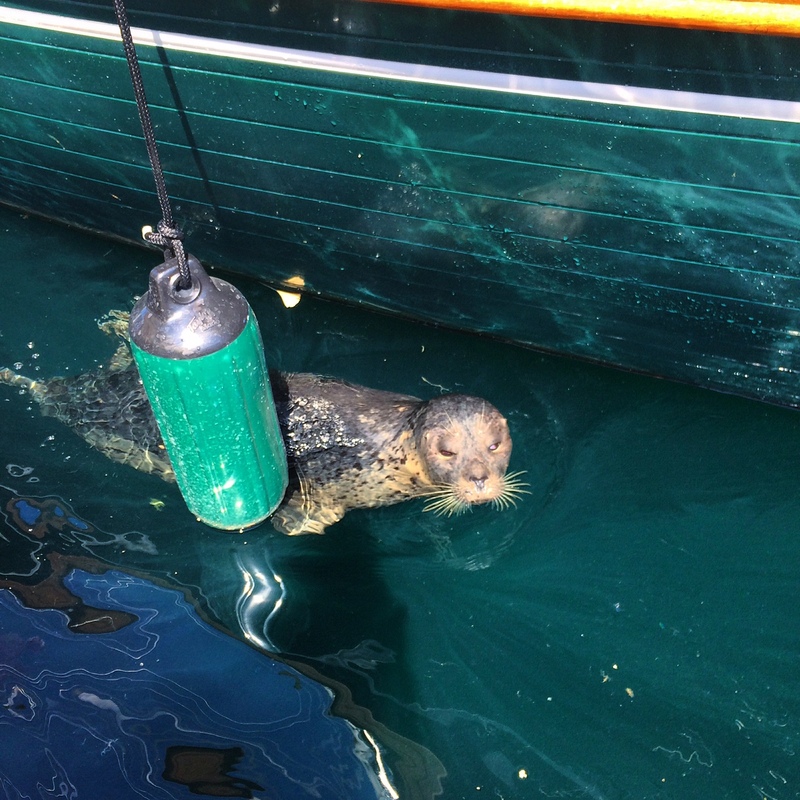 But our favorite seal friend was waiting… And the spot we got engaged was still there…flowers and all. 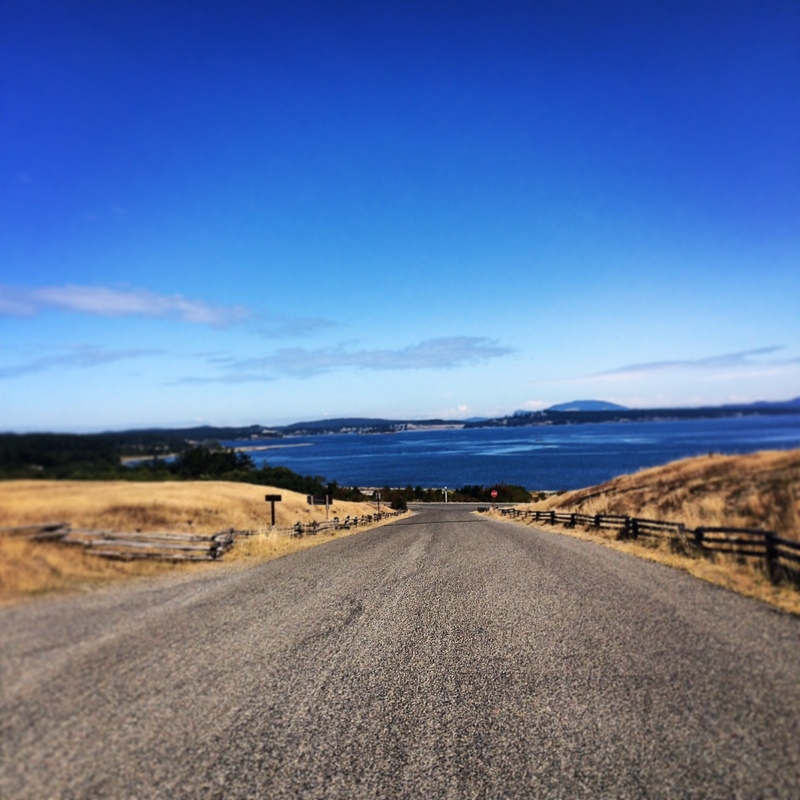 Our favorite road remains unchanged… And the best part was Otto got to return to the place where he was born. 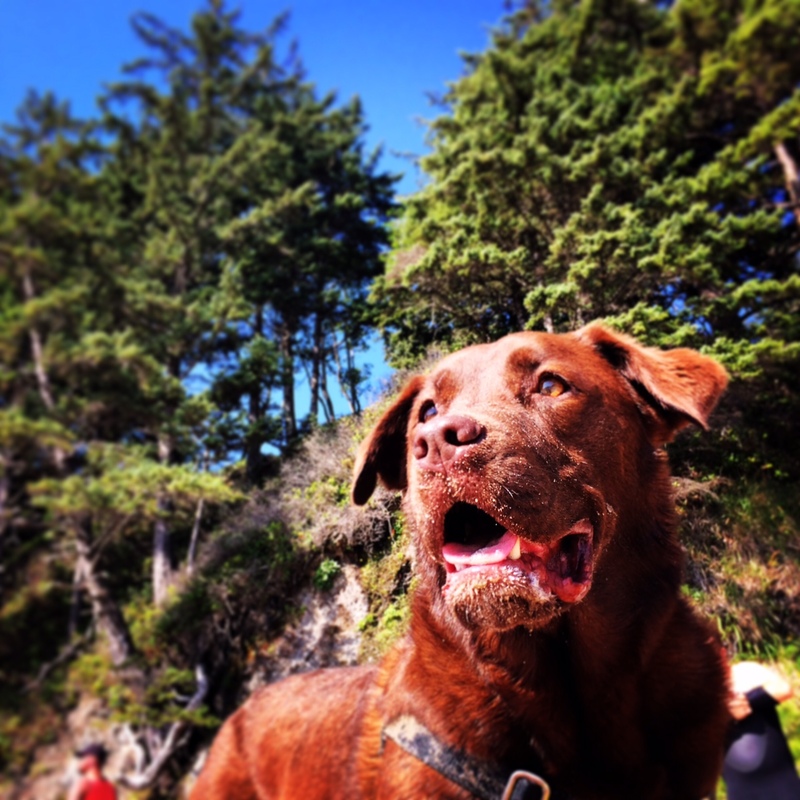 He was a pretty happy guy the entire trip, and he didn’t poo in the ocean once! 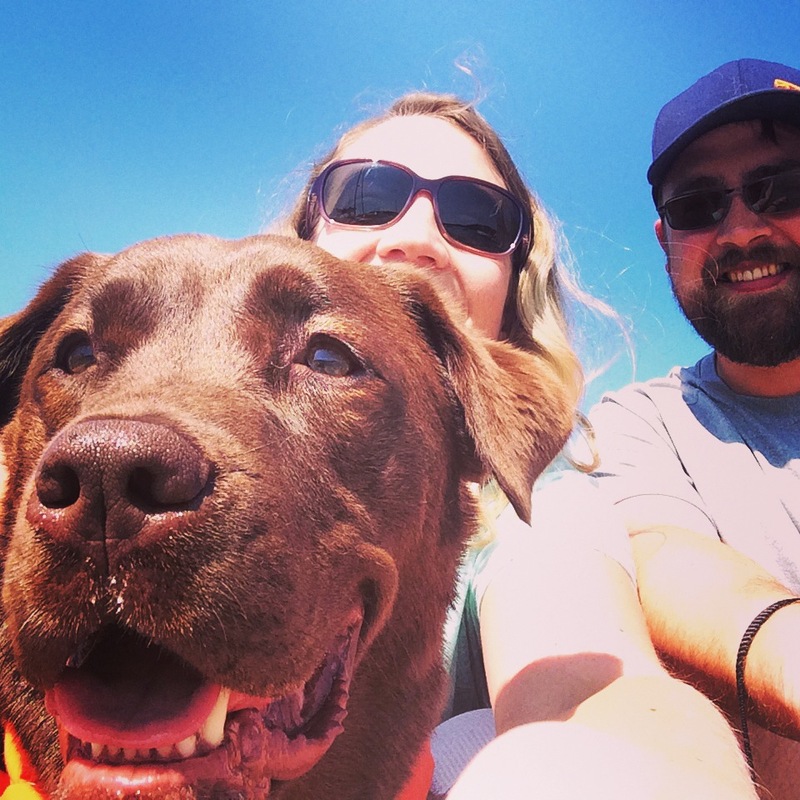 Plus we realized the only way to take a selfie is with your pet. We did a whole lot on the island, I could go on and on with every little detail about where we ate and what we did, but it would just take too long! 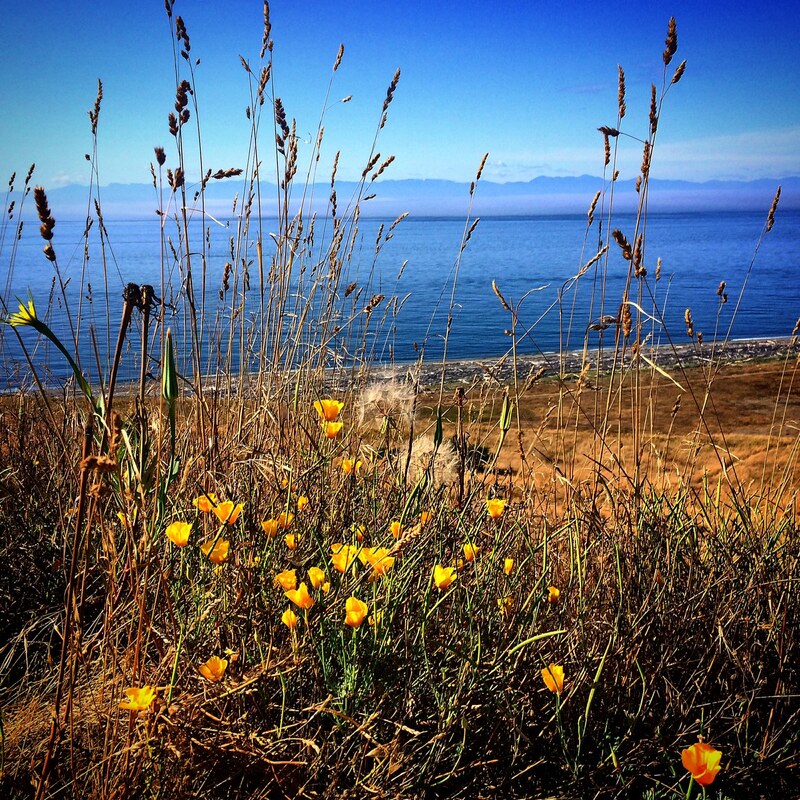 San Juan Island is a magical place for us, we have had so many significant things in our lives happen here that I will never forget. I’m so thankful we got to spend our first anniversary up here, and especially the fact that we got to bring Otto. 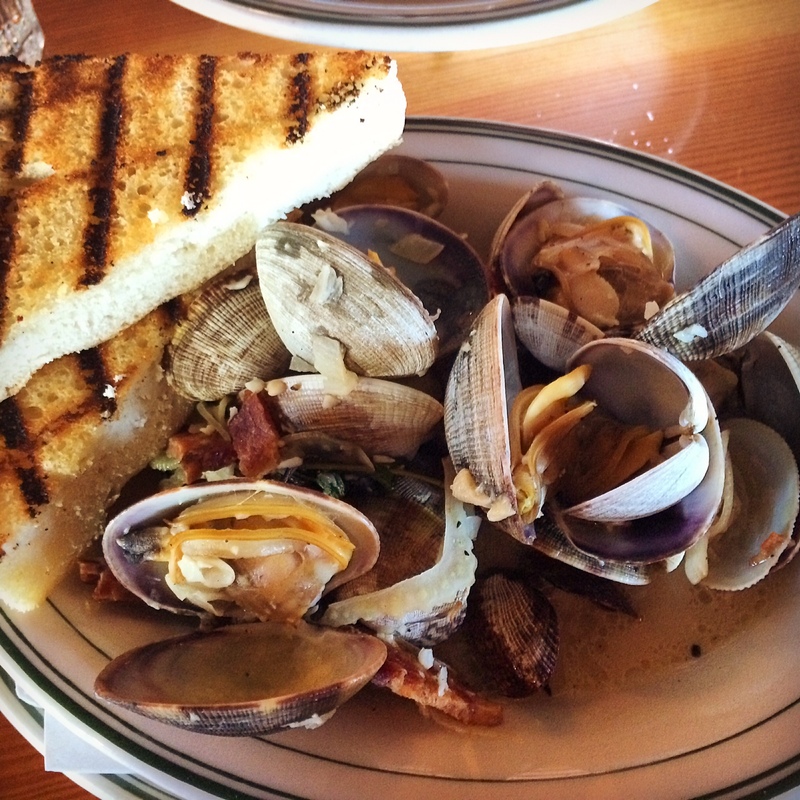 If I could tell you to eat one thing while on the island, it’s the clams at Cask and Schooner. The above picture doesn’t really do them justice, but seriously, if I could be on an episode of The Best Thing I Ever Ate, I would tell you about these life changing clams. They are always so fresh and perfect, and the sauce they come in…the bread you get to dip the sauce in…Oh my god, it’s just the best. I have tried many steamer clams since these, and nothing has ever come close to comparing. One of my life dreams is recreating these clams at home. And then we ate more donuts. I have a problem. #1 favorite meal: Cask and Schooner Clams. #2 favorite meal: donuts. Any donut. Just give me a donut. I want to eat donuts everyday. 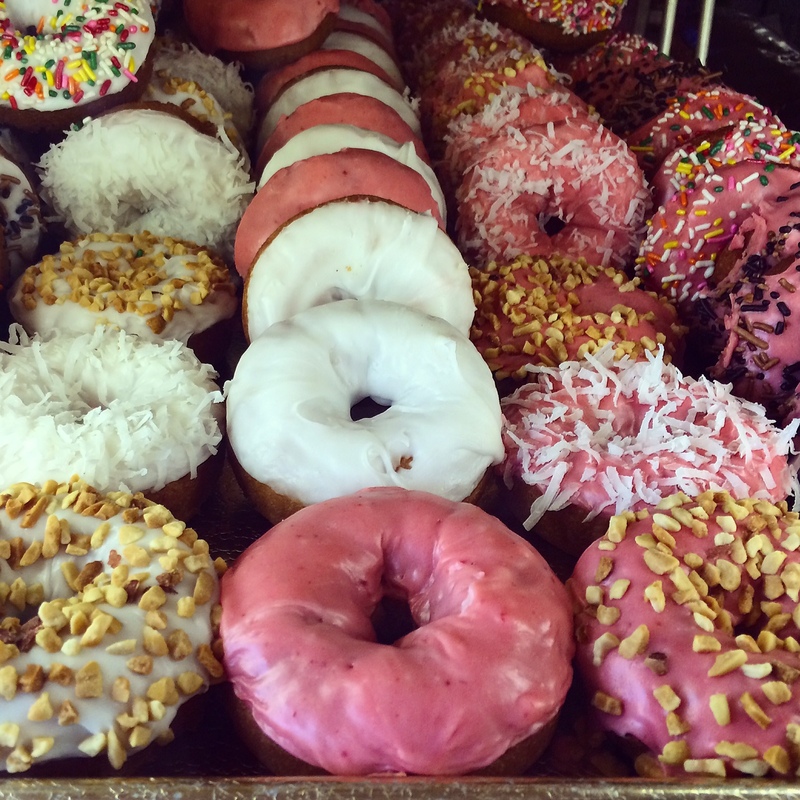 During your anniversary trip there is a strict no questions asked policy when it comes to donuts. 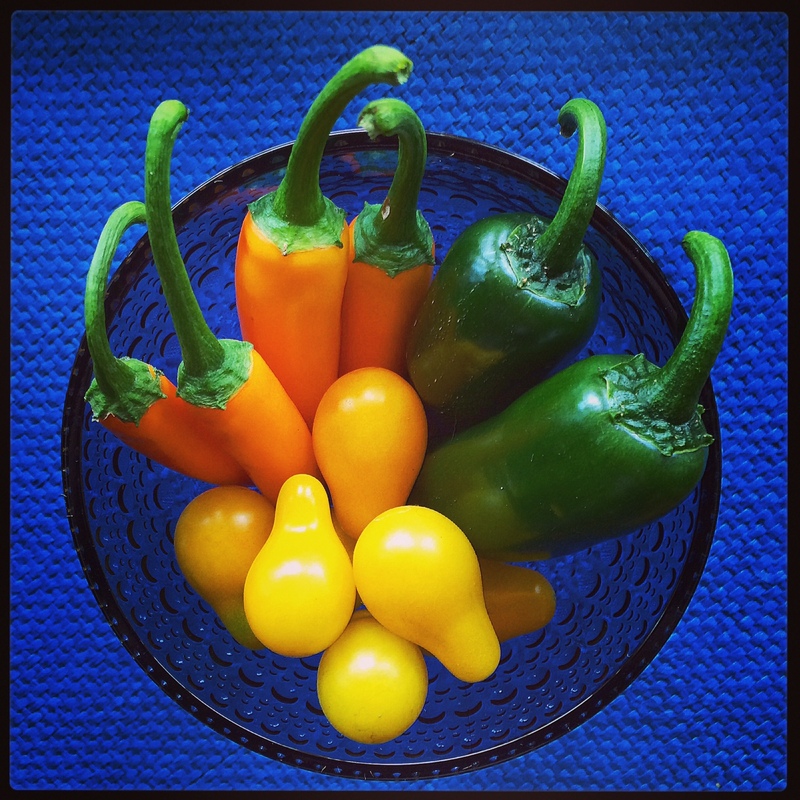 The rest of the month is a bounty of food photos. 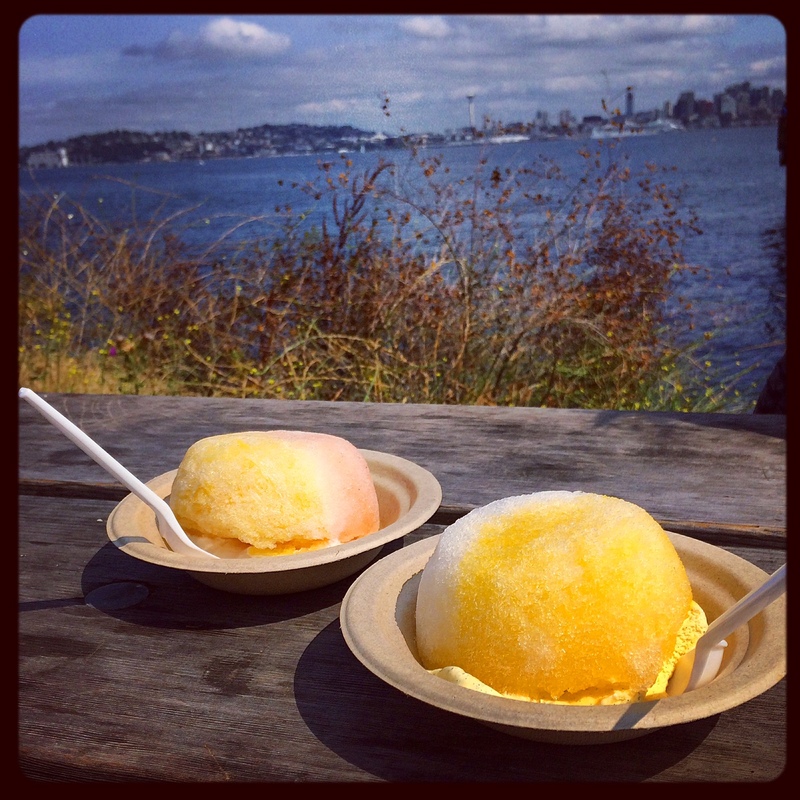 We had summery shaved ice at Marination Ma Kai in West Seattle. Epic shaved ice with a view? Yes. 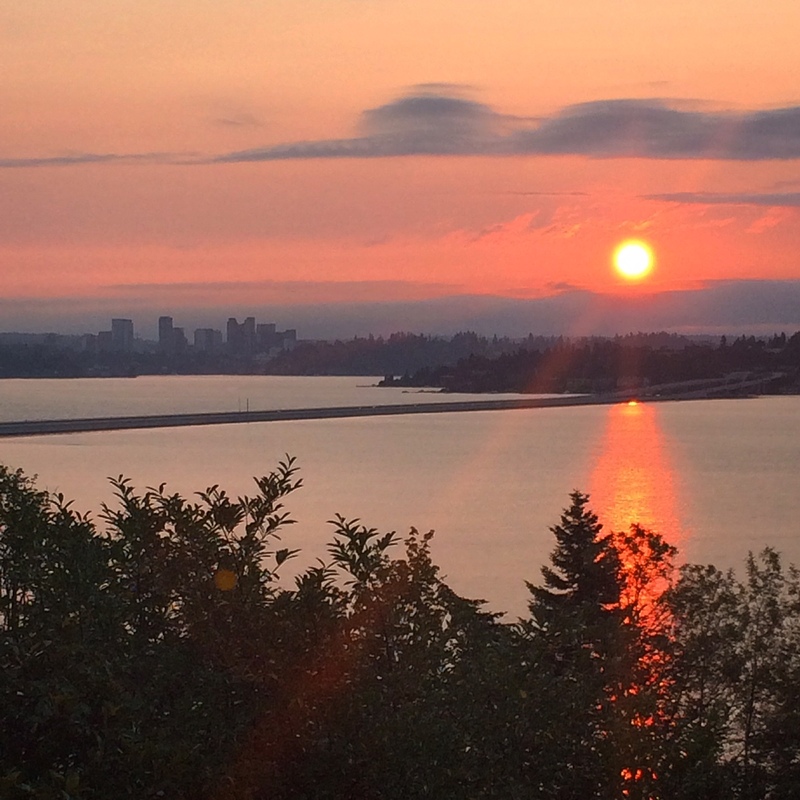 I miss Seattle…so much. 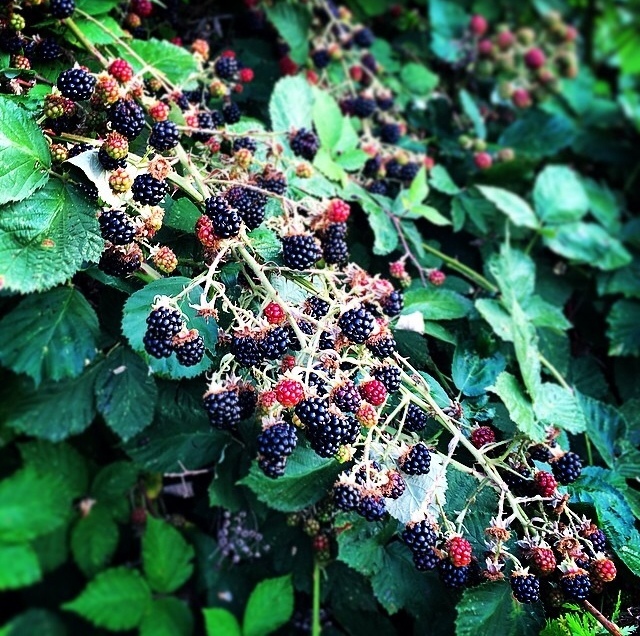 Blackberry picking! One of my favorite things in life ever. I could write a book about the joys and woes of blackberry picking. Stay tuned for that. Peppers and tomatoes from our garden! We didn’t kill everything this year. WIN! Also: food gradients are awesome. 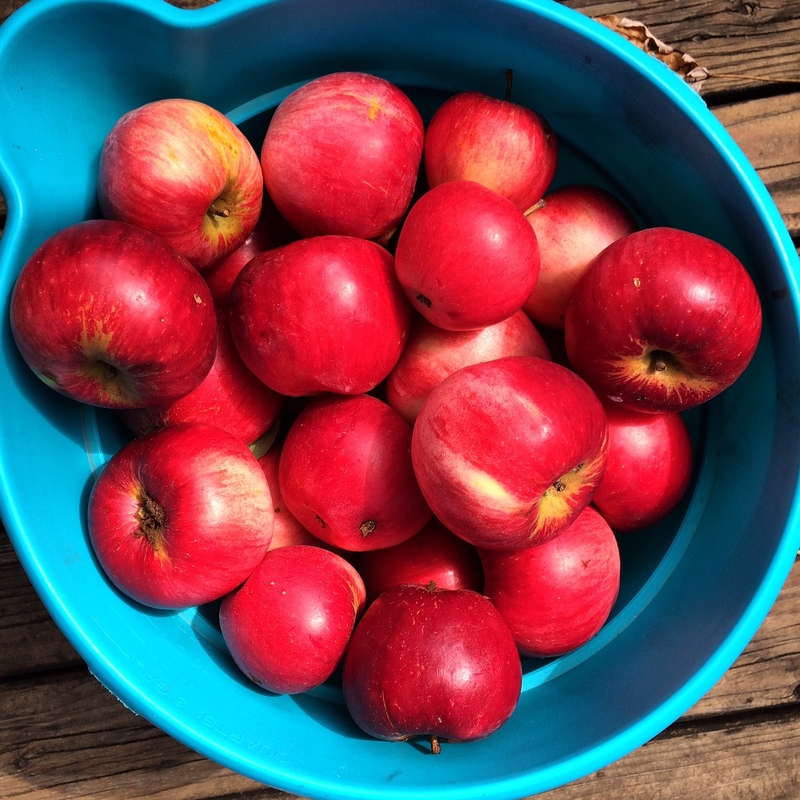 And on the last day of August, we picked a giant bucket of apples from the tree in my mom’s backyard. Our first Hello to fall. I’m ready for it. At least I think I am. I’m not quite ready for pumpkin flavored everything, but I am ready for some homemade applesauce. My five year old self who hated applesauce is wondering what happened to me… Until next month…Time to say goodbye to the heat and hello to sweaters! Or hooded sweatshirts, let’s be real. Great Month! You guys are busy. I haven’t done that much in a year!